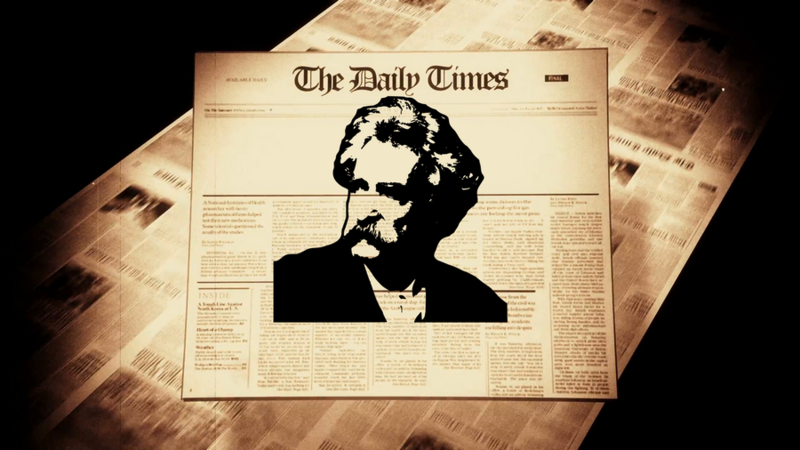 In this short artistic story, the famous American writer Mark Twain perfectly demonstrated that the modern political and legal theory of the separation of powers into legislative, judicial and executive is flawed – for the simple reason that in reality there is still at least ideological power exercised through control the mass media. And as the author has shown on a simple example, the ideological power in this system occupies a dominant position. The story was written in 1870, but since then its relevance has only increased. You have never done one single thing in all your life to be ashamed of — not one. 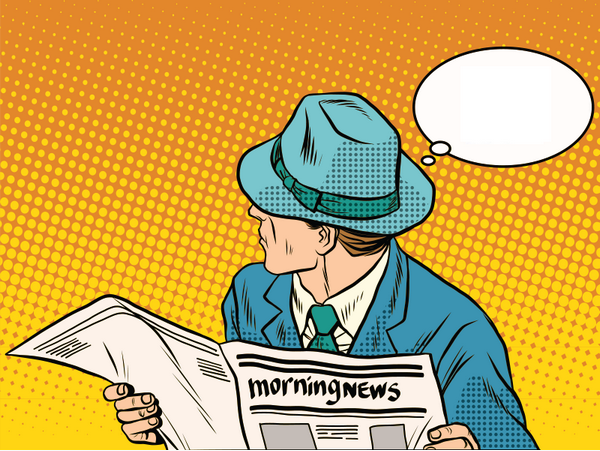 Look at the newspapers — look at them and comprehend what sort of characters Woodford and Hoffman are, and then see if you are willing to lower yourself to their level and enter a public canvass with them. PERJURY. 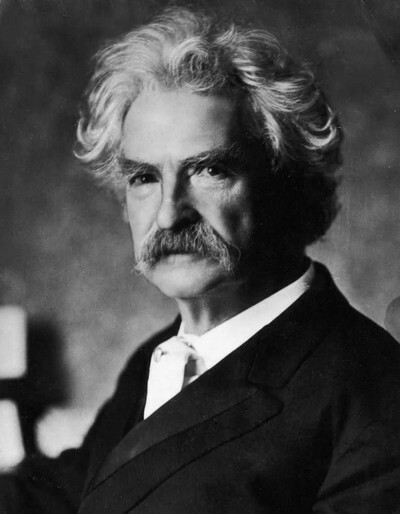 — Perhaps, now that Mr. Mark Twain is before the people as a candidate for Governor, he will condescend to explain how he came to be convicted of perjury by thirty-four witnesses, in Wakawak, Cochin China, in 1863, the intent of which perjury was to rob a poor native widow and her helpless family of a meagre plantain patch, their only stay and support in their bereavement and their desolation. Mr. Twain owes it to himself, as well as to the great people whose suffrages he asks, to clear this matter up. Will he do it? SIGNIFICANT. — Mr. Twain, it will be observed, is suggestively silent about the Cochin China perjury. WANTED TO KNOW. — Will the new candidate for Governor deign to explain to certain of his fellow-citizens (who are suffering to vote for him!) the little circumstance of his cabin-mates in Montana losing small valuables from time to time, until at last, these things having been invariably found on Mr. Twain’s person or in his “trunk” (newspaper he rolled his traps in), they felt compelled to give him a friendly admonition for his own good, and so tarred and feathered him and rode him on a rail, and then advised him to leave a permanent vacuum in the place he usually occupied in the camp. Will he do this? Could anything be more deliberately malicious than that? For I never was in Montana in my life. THE LIE NAILED! — By the sworn affidavits of Michael O’Flanagan, Esq., of the Five Points, and Mr. Kit Burns and Mr. John Allen, of Water street, it is established that Mr. Mark Twain’s vile statement that the lamented grandfather of our noble standard-bearer, John T. Hoffman, was hanged for highway robbery, is a brutal and gratuitous LIE, without a single shadow of foundation in fact. It is disheartening to virtuous men to see such shameful means resorted to to achieve political success as the attacking of the dead in their graves and defiling their honored names with slander. When we think of the anguish this miserable falsehood must cause the innocent relatives and friends of the deceased, we are almost driven to incite an outraged and insulted public to summary and unlawful vengeance upon the traducer. But no — let us leave him to the agony of a lacerating conscience — (though if passion should get the better of the public and in its blind fury they should do the traducer bodily injury, it is but too obvious that no jury could convict and no court punish the perpetrators of the deed). The ingenious closing sentence had the effect of moving me out of bed with despatch that night, and out at the back door, also, while the “outraged and insulted public” surged in the front way, breaking furniture and windows in their righteous indignation as they came, and taking off such property as they could carry when they went. And yet I can lay my hand upon the Book and say that I never slandered Governor Hoffman’s grandfather. More — I had never even heard of him or mentioned him, up to that day and date. A SWEET CANDIDATE. — Mark Twain, who was to make such a blighting speech at the mass meeting of the Independents last night, didn’t come to time! A telegram from his physician stated that he had been knocked down by a runaway team and his leg broken in two places — sufferer lying in great agony, and so forth, and so forth, and a lot more bosh of the same sort. And the Independents tried hard to swallow the wretched subterfuge and pretend that they did not know what was the real reason of the absence of the abandoned creature whom they denominate their standard-bearer. A certain man was seen to reel into Mr. Twain’s hotel last night in state of beastly intoxication. It is the imperative duty of the Independents to prove that this besotted brute was not Mark Twain himself: We have them at last! This is a case that admits of no shirking. The voice of the people demands in thunder-tones: “WHO WAS THAT MAN? It was incredible, absolutely incredible, for a moment, that it was really my name that was coupled with this disgraceful suspicion. Three long years had passed over my head since I had tasted ale, beer, wine, or liquor of any kind. How about that old woman you kiked of your premisers which was beging. That is about the idea. I could continue them till the reader was surfeited, if desirable. Shortly the principal Republican journal “convicted” me of wholesale bribery, and the leading Democratic paper “nailed” an aggravated case of blackmailing to me. BEHOLD THE MAN! — The Independent candidate still maintains Silence. Because he dare not speak. Every accusation against him has been amply proved, and they have been endorsed and re-endorsed by his own eloquent silence till at this day he stands forever convicted. Look upon your candidate, Independents! Look upon the Infamous Perjurer! the Montana Thief! the Body-Snatcher! Contemplate your incarnate Delirium Tremens! your Filthy Corruptionist! your Loath some Embracer! Gaze upon him — ponder him well — and then say if you can give your honest votes to a creature who has earned this dismal array of titles by his hideous crimes, and dares not open his mouth in denial of any one of them! There was no possible way of getting out of it, and so, in deep humiliation, I set about preparing to “answer” a mass of baseless charges and mean and wicked falsehoods. But I never finished the task, for the very next morning a paper came out with a new horror, a fresh malignity, and seriously charged me with burning a lunatic asylum with all its inmates because it obstructed the view from my house. This threw me into a sort of panic. Then came the charge of poisoning my uncle to get his property, with an imperative demand that the grave should be opened. This drove me to the verge of distraction. On top of this I was accused of employing toothless and incompetent old relatives to prepare the food for the foundling hospital when I was warden. I was wavering — wavering. And at last, as a due and fitting climax to the shameless persecution that party rancor had inflicted upon me, nine little toddling children of all shades of color and degrees of raggedness were taught to rush on to the platform at a public meeting and clasp me around the legs and call me PA!